Whilst not a serum, the Body Merry Glycolic Acid 2.5% Anti-Aging Exfoliating Cleanser is the perfect way to keep your face super-squeaky clean at all times. With only 2.5% glycolic acid, this is a very safe cleanser that can be used 1 to 2 times a week for maximum effect. If you want to brighten and deeply clean your skin, then the Body Merry anti-aging exfoliating cleanser needs to be included in your daily skin care routine. Deeply cleans out your pores. Removes the build-up of dead skin cells. Reduces age spots, dark spots, sun spots. 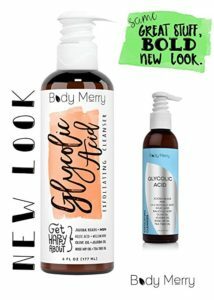 Who can benefit from using the Body Merry Glycolic Acid Serum? Anyone who has problem skin with a few blemishes, mild acne or blackheads will find that this mild glycolic acid cleanser helps to remove all of the debris that clogs their pores and gives them a lovely deep clean. Also, anyone with mild pigmentation problems, such as age spots or sun spots may find that a deep exfoliation is enough to smooth out their skin tone and give them a much more even coloration to their skin. Add to this the powerful antioxidants included in this anti-aging exfoliating cleanser, and you have a strong arsenal to combat your pigmentation issues. Since glycolic acid also stimulates the production of collagen, if you have noticed a slight loss in definition along your jawline, this should help to plump up your skin and take away that aged look. Glycolic acid also increases cell turnover, so if you have dull or tired looking skin, this exfoliating cleanser can help your skin to look cleaner and fresher than it has in ages! This anti-aging exfoliating cleanser by Body Merry comes in a large 6oz (177ml) pump action bottle and should last you a long time, using it once or twice a week. It contains the following key ingredients: willow bark, jojoba beads, MSM, kojic acid, rosehip oil and tea tree oils for a deep clean and a nourishing glow. Ingredients: Aqua, MSM, Jojoba Esters, Organic Aloe, Decyl Glucoside, Cocamidopropyl Hydroxysultaine, Cocamidopropyl Betaine, Cocamide MIPA, Disodium Laureth Sulfosuccinate, Disodium Lauryl Sulfosuccinate, Lavender Hydrosol, Organic Jojoba, Tea Tree Essential Oil, Organic Olive, Organic Rosehip Seed, Borage, Orange Peel, Oregano, Vitamin E, Glycolic Acid, Cucumber, Organic Reishi, Grapefruit Seed, Calendula, Burdock, Organic Red Clover, Organic Rosemary, Organic Willow Bark, Organic Gotu Kola, Horsetail, Dandelion, Wild Geranium, Carrageenan, (2s)-2-Amino-5-guanidinopentanoic Acid, Acrylates/C10-30 alkyl acrylate crosspolymer, Phenoxyethanol, Ethylhexylglycerin. Willow bark contains salicylic acid a BHA (beta hydroxy acid) that is a natural exfoliant and helps to remove all of the debris that has clogged up the pores of your skin. It also has astringent, anti-inflammatory and antiseptic properties making it an ideal ingredient for acne prone or sensitive skin. Willow Bark also stimulates the production of new skin cells, increasing cellular turnover and contains lots of phenolic acids that help to rejuvenate your skin and keep it looking fabulous. Jojoba Beads are made from Jojoba Oil, which is a waxy substance that emulates the sebum in our skin. 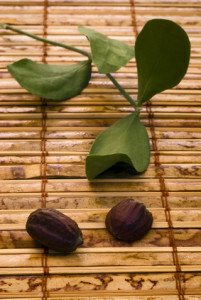 This means that Jojoba can easily penetrate your skin’s layers, helping to keep your skin supple and soft. This is why so many skincare products contain Jojoba Oil. The Jojoba Beads are produced from this waxy substance and act as a natural exfoliant, which is perfect for sensitive skin. The Jojoba Beads are 100% biodegradable, so they are safe for our environment and their silky smooth spherical shape means that they won’t damage your skin, because the edges of the beads are nice and smooth. Jojoba Beads can also be used to assist other key ingredients to penetrate through your skin, so that healing can start from inside your skin’s cells. MSM is a wonderful ingredient to have in any of your skincare products. 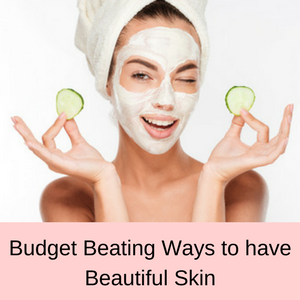 It has lots of great benefits for your skin, for example it boosts the production of collagen, detoxifies your skin’s cells, calms down pigmentation problems, brightens your skin, helps to heal acne and assists other ingredients to penetrate your skin. Kojic acid is a natural ingredient obtained from fungi that helps to improve your pigmentation problems by inhibiting the production of melanin. This can result in a visible improvement in your complexion, giving you a smoother and a more even skin tone. Kojic Acid is a commonly used ingredient in skincare products that are designed to brighten your skin and since it is also packed with antioxidants, it helps to reverse pigmentation problems caused by free radicals as well. Kojic acid is a wonderful ingredient that helps your skin to look brighter, smoother and fresher. 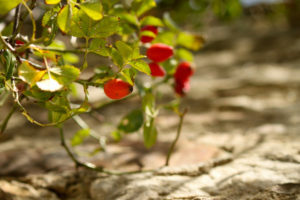 Rosehip Oil is a natural source of Vitamins A, E and C, and the essential fatty acids Omega 3, 6 and 9. It is a natural source of antioxidants and helps to protect your skin from over exposure to UV rays and fights the damage already caused by free radicals. Rosehip Oil is perfect for sensitive skin and helps to minimize fine lines, and reduce acne and sun damage, as well as evening out your skin tone and reducing pigmentation problems. Tea Tree Oil is an ancient healing remedy that has powerful antiseptic properties. Since it contains anti-fungal and antibacterial properties as well, it helps to reduce inflammation in your skin and heal acne. It is also known to help reduce the inflammation of psoriasis and the itching of eczema. Nearly 90% of all customer reviews love the Body Merry Glycolic Acid 2.5% Anti-Aging Exfoliating Cleanser. It leaves their skin feeling super clean and fresh, doesn’t dry out their skin and helps to clear up any blemishes. Works very well, face feels deep cleaned and refresh. This is the second bottle that I have used–and I am very, very pleased. I love this cleanser! It is really clearing up my skin! My pores look much smaller. I love the way this product cleans my skin, i’ve noticed that my acne blemishes leave my skin a lot faster than usual and my pores are a lot smaller too. Skin is smoother and seems to give a glowy effect. I definitely recommend! Packed full of antioxidants and skin brightening ingredients the body Merry Glycolic Acid 2.5% Anti-Aging Exfoliating Cleanser is a sure hit with customers. The low percentage of glycolic acid is just enough to remove all of the old dead cells and debris from their skin, but not enough to feel irritating. If you have mild pigmentation problems and dull looking skin with blocked pores and mild acne, then try this exfoliating cleanser and you might be happily surprised! Read more of my glycolic acid exfoliating reviews here. Sievers defense attorney files several motions Naples Daily NewsSievers defense attorney file several motions, one that argues the death penalty is unconstitutional and others concerning the jury pool.